An Albanian in Italy is considered as the head of a gang charged with theft, robbery and even a kidnapping. Italian media say that the Albanian arrested some time ago who faces charges is Flori Sejdini, 26, a resident of Montecatini. He is charged as the head of a specialized gang in thefts and robberies committed in some areas in Italy. In 2016, the band headed by him carried out a series of robberies in Altopascio and Ponte Buggianese. This time the Albanian is accused of nine robbery in some apartments. The worst is that of March 26, when his group consisting of three masked robbers entered the 84-year-old's villa. For more than an hour he was held under threat while they were robbing taking the money and jewels belonging to the his dead wife at a value of over 5,000 euros. 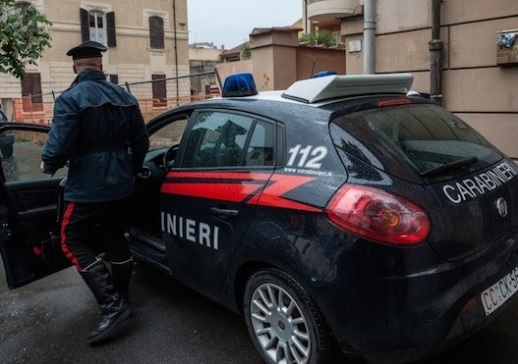 The pensioner managed to leave, reaching to the door of the neighbors who gave the alarm by announcing the carabinieri. The owner identified the car - a Renault Clio, with which the robbers fled. The police begun following them, but they broke the checkpoint by injuring the carabinieri.